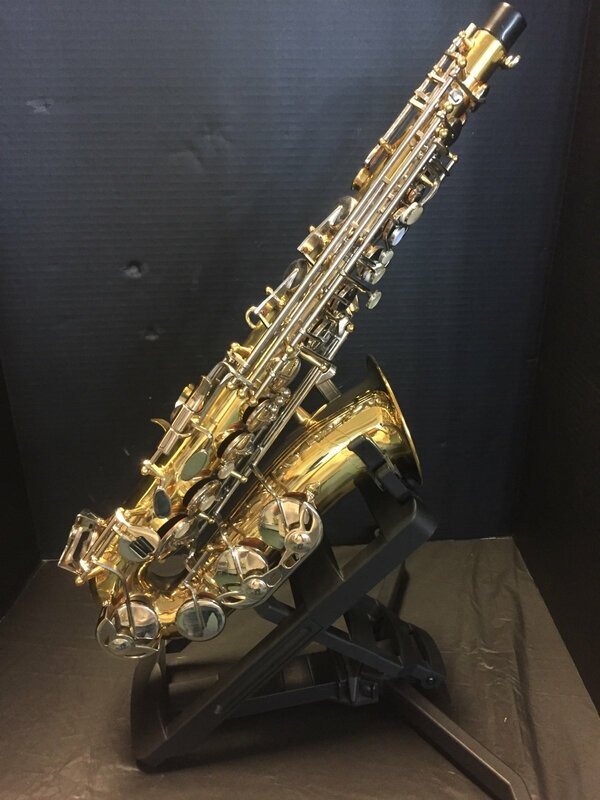 This is an Armstrong 3008A student alto saxophone. It was made in the Elkhart, Indiana. The horn has a lacquer finish, nickel plated keys, and high F# key. This is a store demo model in mint condition. It's a great horn for marching band, or for the beginning student learning to play in school! It comes with a hardshell case.